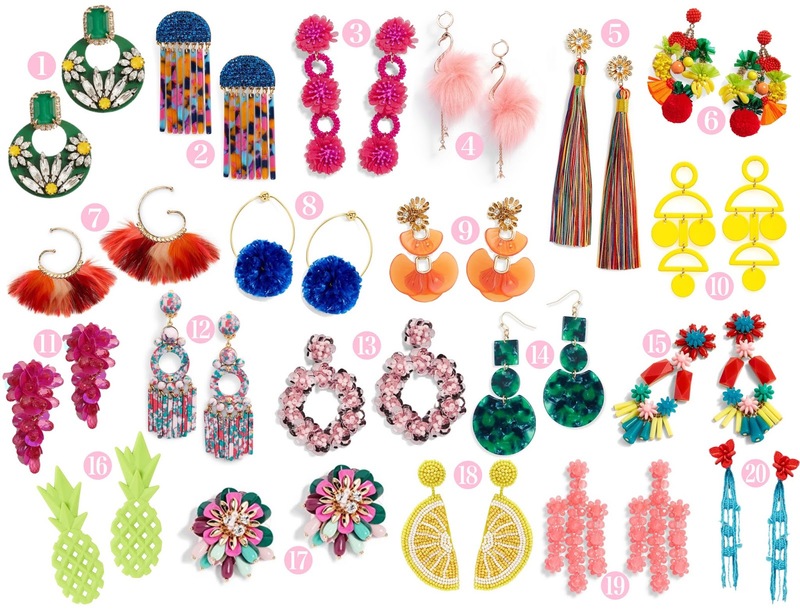 I'm loving colorful statement earrings for summer. 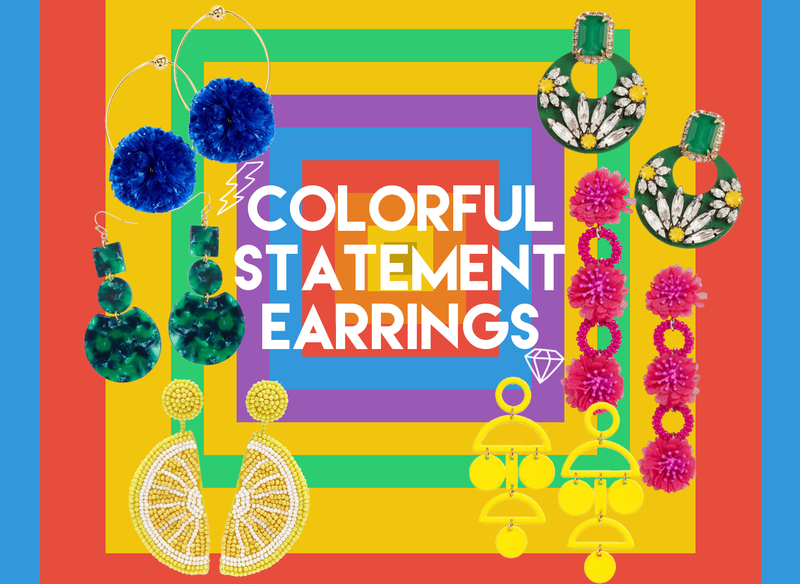 Bold statement earrings can instantly dress up any outfit and transform it from drab to fab. 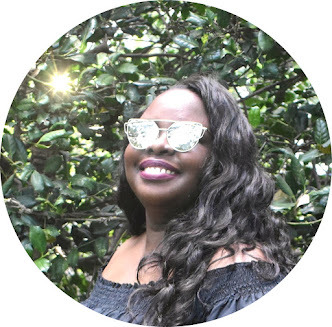 My two absolute favorites from my picks are the Kate Spade flamingo earrings and the Kenneth Jay Lane lemon drop earrings. Both would look so cute with a grey maxi dress or with a pair of light wash jeans, a white tee and some vans. Check more my favs below.